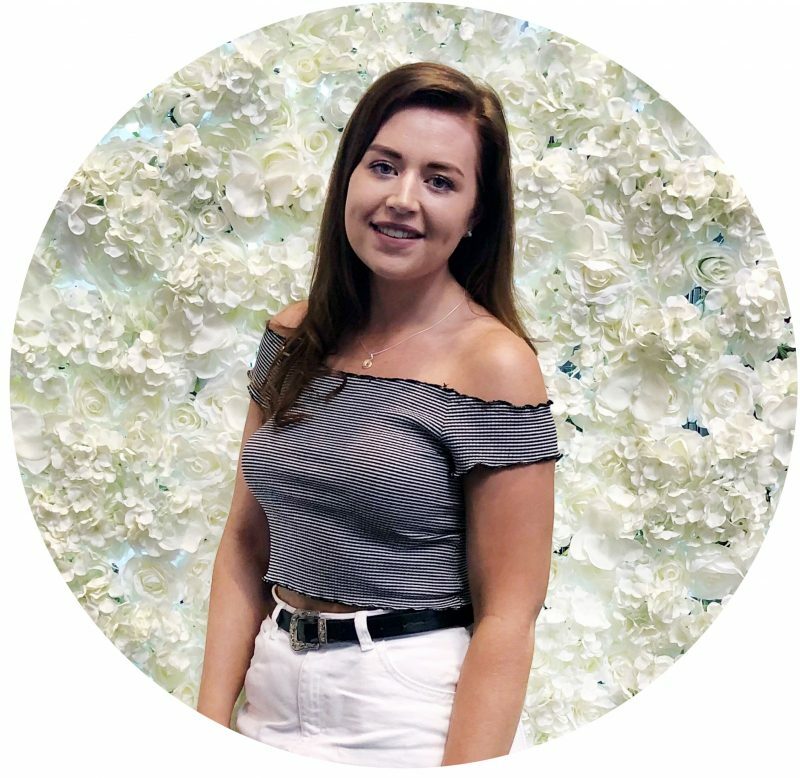 As many of you probably saw in my Topshop Make-up Haul here, I purchased a few things including this nail varnish which I have literally fallen in love with so I thought I would do a little review on it and tell you why I love it so much! 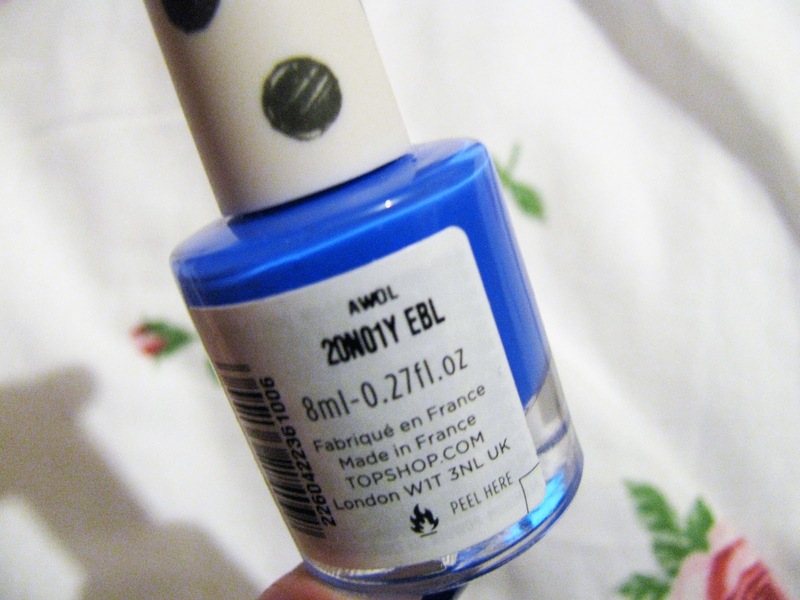 As you can see ‘Awol’ is bright cobalt/electric blue shade which in my opinion is such a pretty shade as it adds a nice pop of colour and can be worn on your nails in both the winter and the summer, it’s one of those colours! I have never come across a shade similar or anything like this so when I saw it, it immediately caught my eye, hence why I bought it. 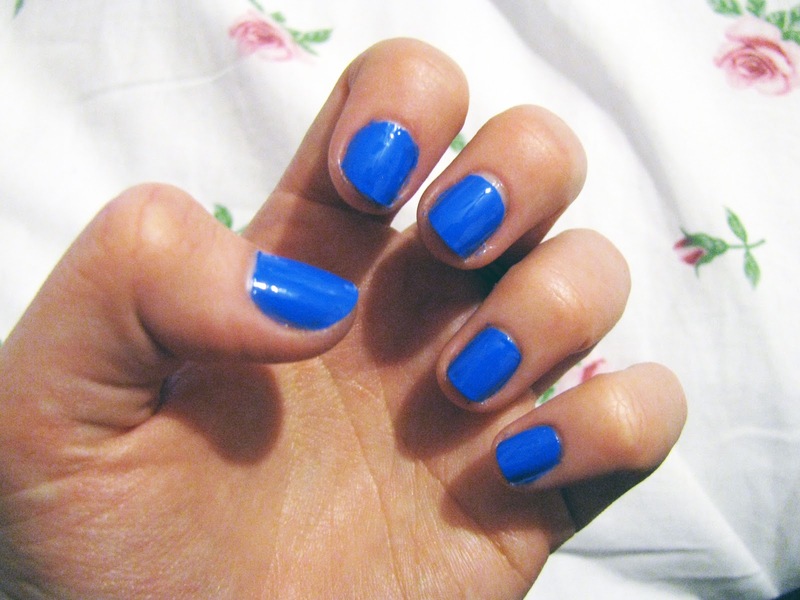 For me this is my favourite nail varnish that I own, I have worn it so much since I bought it. In fact, I have had my nails this colour on and off around work for the past three weeks and my toe nails are also this colour, yes I am that obsessed with it. Now, this nail varnish is not the best for durability but I find as long as I use a good base and top coat it really helps to make this varnish last a good few days but I do like to touch up my nails with another coat every other day to keep them looking neat and tidy. As for the price, this is priced at £5 or Topshop have an offer at the moment 2 for £8 on their nail varnishes which is a bargain especially as Topshop have some really pretty shades of all colours. If you haven’t tried any of the Topshop nail varnishes I highly recommend you do, you won’t be disappointed! Have you tried any of the Topshop nail varnishes?